NB: I've recently moved to Stanford University, where I am William J. Perry Fellow in International Security at the Center for International Security and Cooperation. I also teach in Stanford's Program in Science, Technology, and Society. This move may be permanent. Despite my new affiliation, I'm still a Professor in the School of Information (SI) and the Dept. of History at the University of Michigan, where I have taught since 1999. SI is an interdisciplinary professional school focused on bringing people, information, and technology together in more valuable ways. My research explores the history, politics, and cultural aspects of computers, information infrastructures, and global climate science. Right now I'm thinking about how to build better knowledge infrastructures for the Anthropocene epoch. At the University of Michigan, I helped lead the Science, Technology & Society Program from 2000-2017. The program sponsors a distinguished speaker series, a biweekly faculty colloquium, a graduate certificate, and an undergraduate minor. 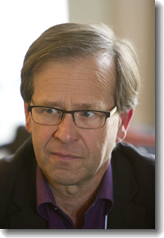 I am co-editor (with Geoffrey C. Bowker) of the Infrastructures book series (MIT Press), and I serve on the editorial boards of Big Data & Society: Critical Interdisciplinary Inquiries, Information & Culture: A Journal of History, and Internet Histories: Digital Technology, Culture, and Society. 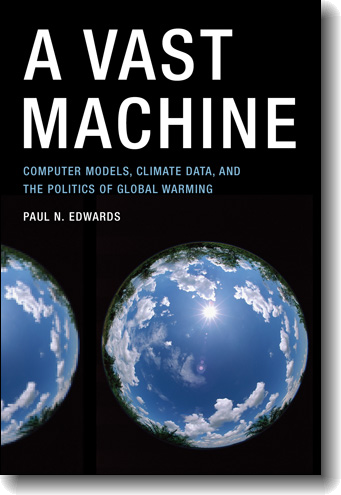 My most recent book is A Vast Machine: Computer Models, Climate Data, and the Politics of Global Warming (MIT Press, 2010).